Um....I failed dismally at Me-Made-June. I found it hard restricting my wardrobe choices to such few options, as most of the options I had, I wasn't fussed on. I did wear more than I managed to document on camera, but finding the time/a person to take a pic was also tricky. I do plan on attempting the challenge again, but will need FAR more me-made items first! I did so enjoy seeing everyone's outfits in the flickr group, though. I have started 2 dresses recently, plus have been busy buying more fabric and patterns, more on those in my next post. 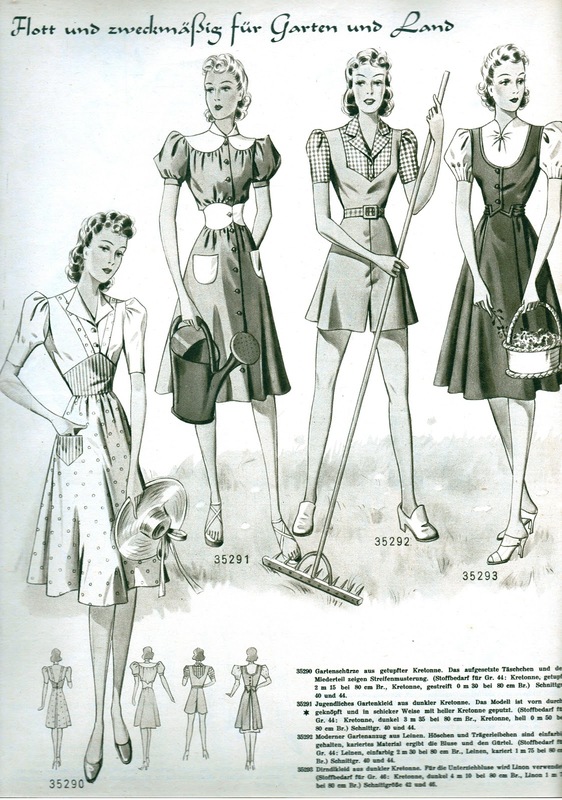 Until then, here are yet more German pattern magazine images, from Weiner Bunte Mode, 1940, enjoy! The next image is dreamy, the colours, the styles, everything! Wow, the beach wear pages are knockout, I adore them! So elegant, the illlustrations are beautiful. Another favourite page of mine, I love the colours. 1960s Burda pattern sheets are a dream in comparison! WOW!!! beutiful images!!! and those Burda patterns look so difficult ! Beautiful stuff- in illustration. I often I wonder how all the detail on that clothing would look on our bodies now a days. I tend to think that only the leanest and most angular of us could pull that off like the illustrated women. And am I ever glad I don't have to trace a pattern off that sheet! I adore these inspiration posts! simple beautiful! 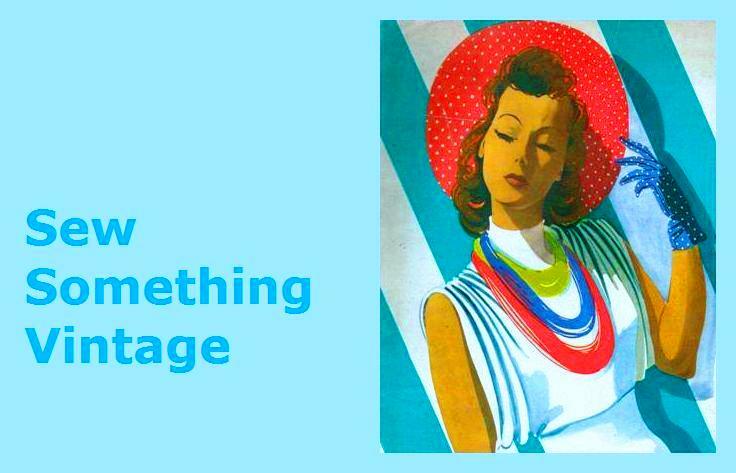 all the details even on the clothing intended for housework I just love the 30,40,50's Thanks for sharing this jewel with us! These images are breathtaking, thanks so much for sharing...I particularly love the beachwear and lingerie! What a scary pattern sheet though!!! Thanks for sharing. Such amazing images and I find it esepcially interestign to see fashion illustrations from other countries than the US. Glad you all enjoy them as I have more to come! PepperToast - I adore the details but hadn't thought of them perhaps being too much on some modern, fuller figures. Although I love every illustration, quite a lot of the designs I wouldn't actually wear as I think some vintage can look very 'mumsy' on. The Wonderful Vintage Fashions have made me determined to locate, slim, and show off my recently discovered WAIST!! !